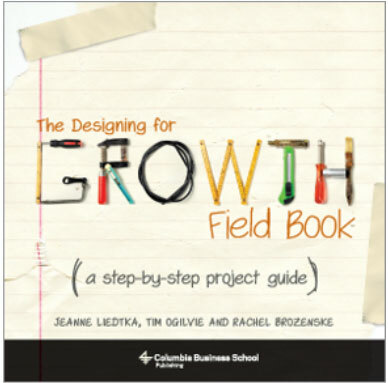 In Designing for Growth (D4G): A Design Thinking Tool Kit for Managers, Jeanne Liedtka and Tim Ogilvie showed how design can boost innovation and drive growth. In this companion guide, also suitable as a stand-alone project workbook, the authors provide a step-by-step framework for applying the D4G toolkit and process to a particular project, systematically explaining how to address the four key questions of their design thinking approach. The field book maps the flow of the design process within the context of a specific project and reminds readers of key D4G takeaways as they work. The text helps readers identify an opportunity, draft a design brief, conduct research, establish design criteria, brainstorm, develop concepts, create napkin pitches, make prototypes, solicit feedback from stakeholders, and run learning launches. The workbook demystifies tools that have traditionally been the domain of designers -- from direct observation to journey mapping, storytelling, and storyboarding -- that power the design thinking process and help businesses align around a project to realize its full potential.